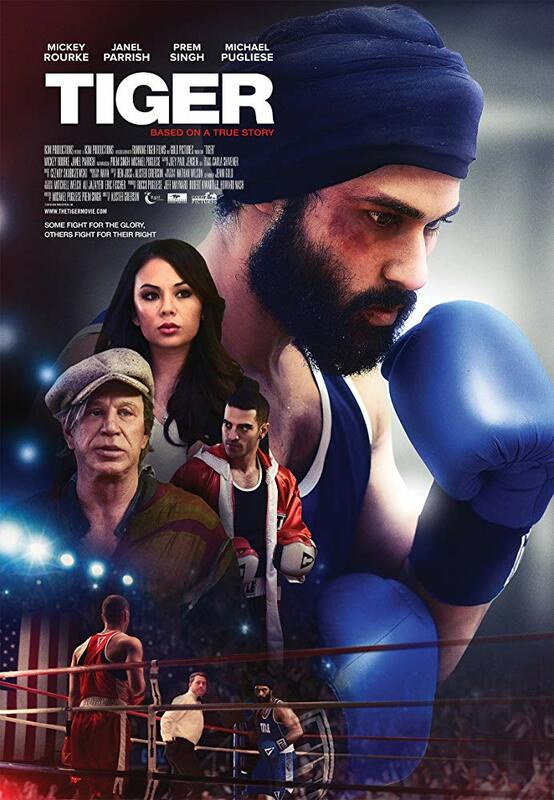 A Sikh boxer fights for his rights to compete when he is banned from competition for having facial hair. An underdog sports story and a civil rights courtroom drama combined into one inspirational tale...you can't go wrong when these two things are combined. "Tiger" is directed by Alister Grierson, who has directed other films like "Kokoda: 39th Battalion" and "Sanctum." It is written by Prem Singh and Michael Pugliese, who also star in the film as protagonist Pardeep Nagra and antagonist Brian Doyle. This film tells the true story of Canadian American flyweight middleweight amateur boxer Pardeep Singh Nagra. Nagra was banned from competition by the Canadian and Ontario amateur boxing associations ABC (Association of Boxing Commissions) and went to court for his right to compete and practice his religion faithfully. 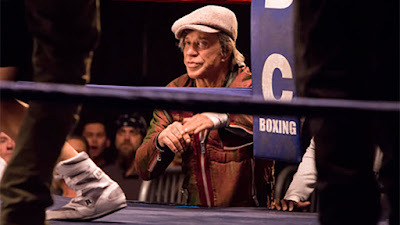 Pardeep acquires legal representation from Satwinder Gosal, Chris Leafloor, and Jim Smith, all from RZCD LLP civil rights attorney Charlotte (Janel Parrish), who was provided to him by his trainer Frank Donavan (Mickey Rourke). 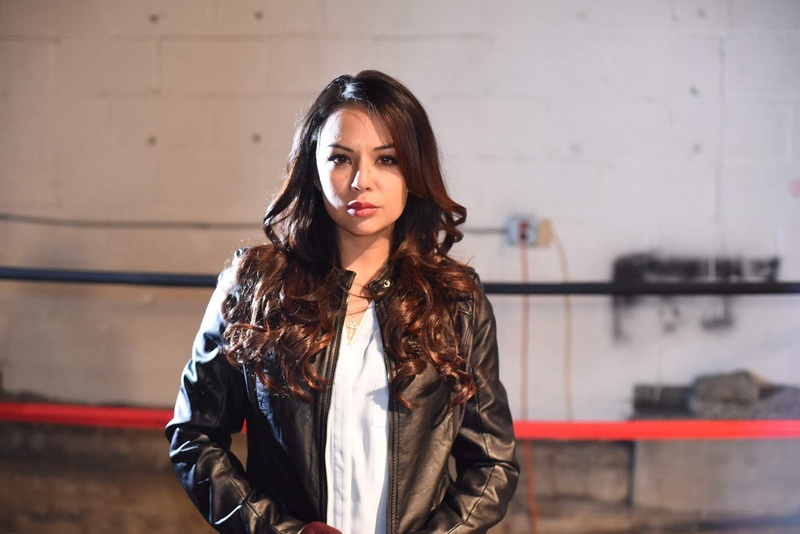 Charlotte also happens to be the ex-girlfriend of Nagra's biggest boxing rival, Brian Doyle (Michael Pugliese), which causes further animosity between the two. 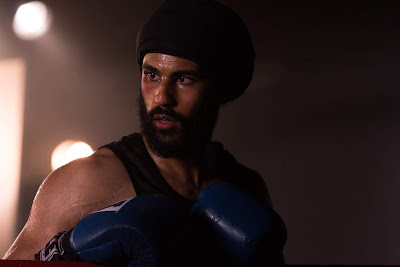 In our research after viewing "Tiger," we were a bit shocked to discover that despite being depicted as an American middleweight, the real Pardeep Singh Nagra is actually a Canadian flyweight. This was a surprise because the "American underdog in all aspects of life" angle is utilized so heavily in the film's narrative. Pardeep fighting for his rights is touted as the thing any American who loves his country would do if they were faced with such blatant and flagrant racism and cultural and religious misunderstanding. There is even a scene where Nagra wears a U.S. flag turban, that's how heavy and prominent the American imagery is in "Tiger." We're not pointing this out because it's a problem for us, we just found it to be an interesting change. We wonder if the writers/stars and filmmaker figured that Pardeep would be a more sympathetic and identifiable character if he were American as opposed to him being Canadian. All that being said, the overall message found in "Tiger" is a fantastic one, no matter where the story is set. It deals with pertinent topics that pit arbitrary tradition against religious and personal liberties. It also shows that fighting for one's civil rights is significant and important no matter how great the cost. This is a compelling story, and our emotions got stirred up on more than one occasion while watching Nagra face seemingly insurmountable odds in the face of oppression, discrimination, hostility, and downright ignorance at the hands of others around him. Nagra doesn't face animosity solely from the boxing commission, but from average citizens who are outwardly racist towards him due to a lack of proper understanding about his culture, as well as a quickness to judge him based on his religious attire. "Tiger" has elements of both a formulaic underdog sports story and a formulaic courtroom civil rights drama, and though this feature doesn't bring much new to the table, we remained engaged by its narrative and invested in Pardeep's journey. Relative newcomer Prem Singh does a fantastic job bringing this sports figure to life, and we hope to see him pop up in more movies in the future.